Mark Magill weaves observations about the remarkable roles bees play in keeping wildlife thriving and cultivated crops blooming, together with personal experiences and practical insights gleaned from his years as a beekeeper. 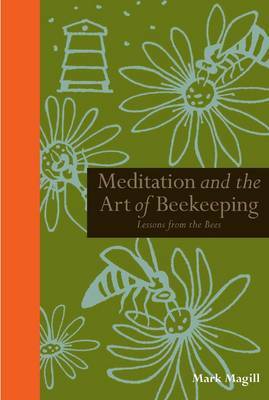 As a Buddhist meditation teacher and author, he presents practical information about the art of beekeeping through the four seasons while harvesting the environmental and spiritual lessons we can learn from the bees. Meditations in each chapter based on Buddhist practice help readers experience the tranquility and simple pleasure of observing and interacting with the natural world. This book is a pleasure to read, in fact, I've read it several times and still find something inspirational to think on every time I pick it up.